Daylight hours are stretching just a little longer with each passing week—in North America, that means we’re getting into late winter. There’s still some time before birds are singing and flowers are blooming, though. In other words, if you’re feeling like you haven’t gotten in nearly enough turns yet this year, you haven’t missed the boat. Late winter and early spring are when some of the best skiing and riding conditions are in full effect. Whether you’re looking for a big getaway or a closer-to-home spring skiing experience, this is the time of year to get after it. These seven destinations are the place to be as we round the corner into spring. The sun starts to come out in earnest in the late winter at Whistler, but that doesn’t mean the snow has stopped falling. The resort typically sees nearly 100 inches of snowfall in March and more than 30 inches in April, which is enough to sustain excellent skiing well into May some years. It also doesn’t hurt that, thanks to its northern latitude, the days here are unbelievably long—in mid-March, you’re looking at 12 hours of daylight, and by the middle of April, it’s more like 14 hours. Paired with a robust base and regular powder storms, Whistler might just be at its best in the springtime. You can expect skiing at Timberline Lodge through Memorial Day, and often through the summer. The beauty of skiing on and around glaciated terrain is that, by definition, there’s snow all year long. 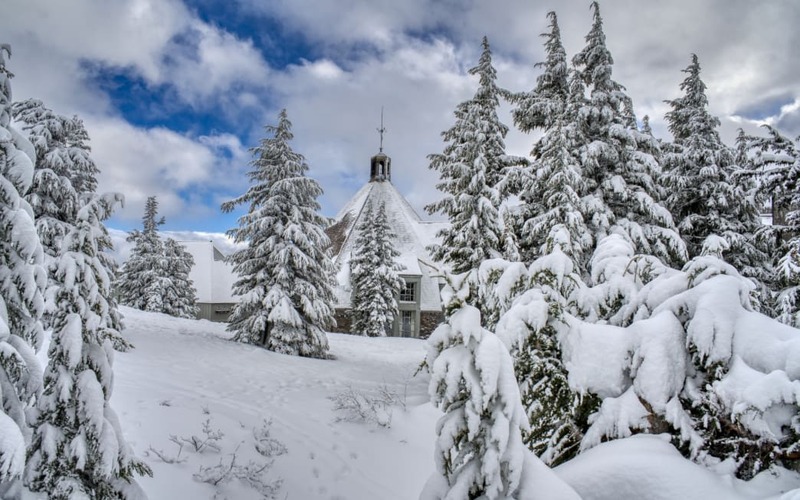 Timberline Lodge is right at the base of Mount Hood (it’s also where the exterior shots from The Shining were filmed), and its namesake ski area has the longest ski season anywhere in North America—it’s typically open through Memorial Day, snow conditions permitting, with an additional summer season that keeps part of the area open through Labor Day. 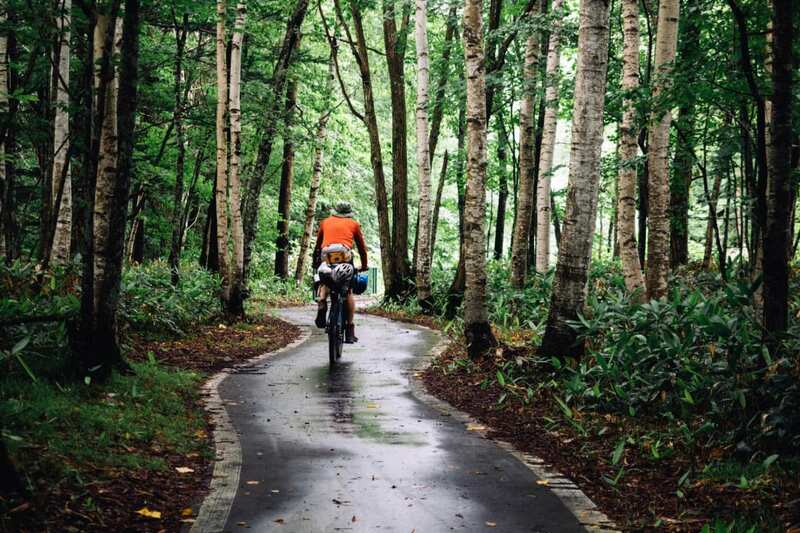 Can’t get enough of those Pacific Northwest turns? Mount Hood is just 2.5 hours from Mount Bachelor, which is famous for its “Cascade corn” in the spring. Californians sure know how to throw a party, and Mammoth Mountain is no exception. Skiers and snowboarders flock to the mountain every spring beginning around mid-March when weeks of springtime celebrations kick off and last until the end of April. Between “shred hunting” (similar to an Easter egg hunt, but with free swag) and regular pond skimming competitions, this is the place to be if you’re looking to welcome spring with a party. Mammoth typically sees 320 days of sunshine each year, and the late winter is no exception to that rule—in an average year, you’ve got until Memorial Day weekend to hit the slopes. Utah prides itself on having the “greatest snow on Earth,” and they don’t just mean in the dead of winter. That champagne powder eventually turns into corn, and when it does, you want to be at Snowbird. The resort stays open longer than any other ski area in Utah, and in May skiers can enjoy live music on the patios along with cold beers and gorgeous mountain views once the lifts close for the day. Best of all, Snowbird is serious about sweetening the deal when it comes to spring skiing—they offer discounts on lift tickets and lodging, so there’s really no reason not to plan a trip. 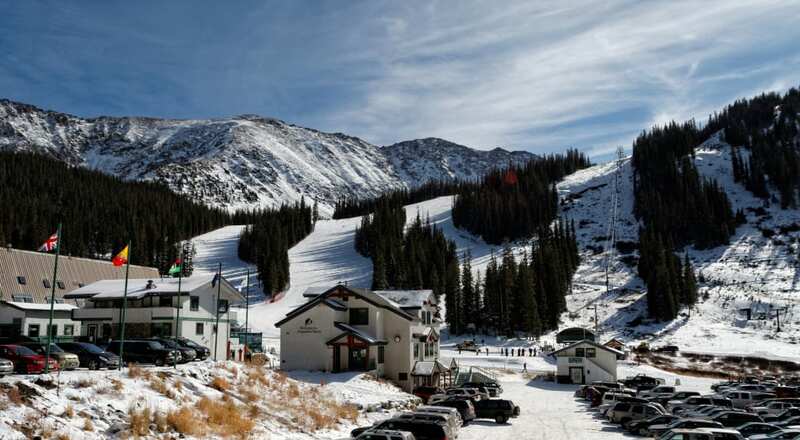 Colorado’s Arapahoe Basin attracts skiers and snowboarders with one of the longest seasons in the state. You might not think landlocked Colorado has much in the way of beaches, but rest assured: the Centennial State can give off a tropical vibe. Head to Arapahoe Basin, just a short drive from Denver, and in the springtime you’ll find that there’s a beach party going on most of the time. Early birds arrive to claim beach spots in the parking lot, then take turns ripping laps on A-Basin’s challenging terrain (often in ridiculous costumes) and grilling burgers at the beach. A-Basin generally opens earlier and closes later than any other ski area in Colorado, and because there’s no lodging or fancy restaurants, it’s got a fun, down-to-earth vibe to boot. East Coast skiing is notoriously icy (which is perhaps why New England produces some of the hardiest skiers you’ll find anywhere), but it’s got a secret: Stowe Mountain boasts incredible spring skiing. Often open into the end of April, thanks in part to its cutting-edge snowmaking abilities and base of nearly 350 inches, Stowe drops its lift ticket prices considerably in the spring. It’s also got a great variety of terrain for skiers and riders of all abilities, from easy groomers to mellow meadow skipping to heart-pounding vertical descents for experts only. Ready to take your spring skiing international? There’s a reason Chamonix is one of the most iconic alpine destinations on the planet, and that stays true well into spring each year. The highest lifts outside of Cham, as it’s affectionately known by the mountain guide community, reach 10,000 feet above sea level, meaning the snow often sticks around until the end of April. Combine that with longer days and thinner crowds, plus music festivals and, of course, delicious French pastries, and you’re looking at a top-notch late winter ski destination. Tough choices aren’t they? No matter where you end up traveling, make sure you have the right clothes on the mountain. Homeschool and Rip Curl both feature killer base layers and rugged outerwear. Stay comfortable no matter the temperature with hoods and neck warmers from PAG. All of them use 37.5 Technology in their fabrics, which helps the body maintain an ideal core body temperature during any activity. Whether you’re working hard on moguls or sitting on the chairlift, you’ll remain comfortable during your day on the mountain.